We Buy Houses in Apple Valley, CA Fast for Cash, Stress-Free! Here’s How our Process Works. Contact us Today for a Fair All Cash Offer for Your Home in Apple Valley, CA. If you have a house in Apple Valley that you need to sell, SoCal Home Buyer would be thrilled to help you. We’ve been buying real estate in San Bernardino county for over a decade. We’re a family owned company located right here in Murrieta, CA and we have real experience helping homeowners like you. We aim to make selling your home easy, and we have knowledgeable staff ready to answer any questions you may have regarding the sale of your property. Because we live in a fast paced society, most people find themselves without enough time to do what they need to do. Whether it’s for work, family or other reasons. If you need to sell your San Bernardino County home quickly and reliably, Southern California Home Buyers is the real estate company for you. 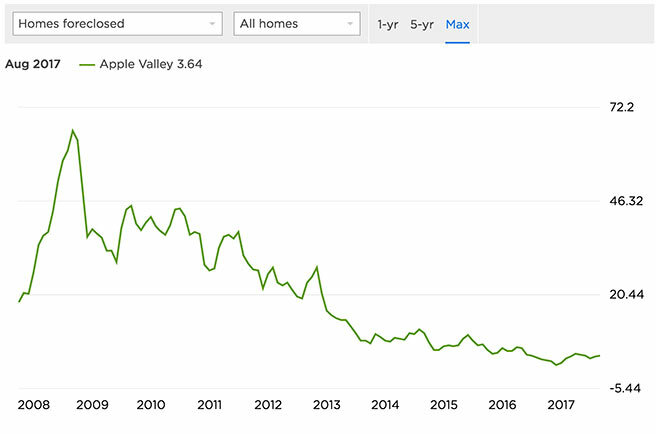 Growth in Apple Valley isn’t necessarily awful – but it’s certainly been better. The real estate collapse hit the area harder than most, and values aren’t going to return to their previous highs. 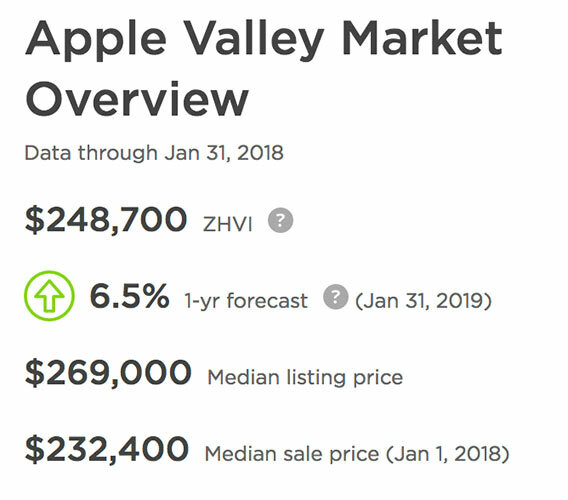 In early 2007, the average home value in Apple Valley was $307,000. At their lowest, homes lost more than half their value, and the average fell drastically to $120,000. These days, values are right about $248,000, and they’re predicted to rise by 6.5% within the next year. While the market is cold, it’s definitely more of a buyer’s market. 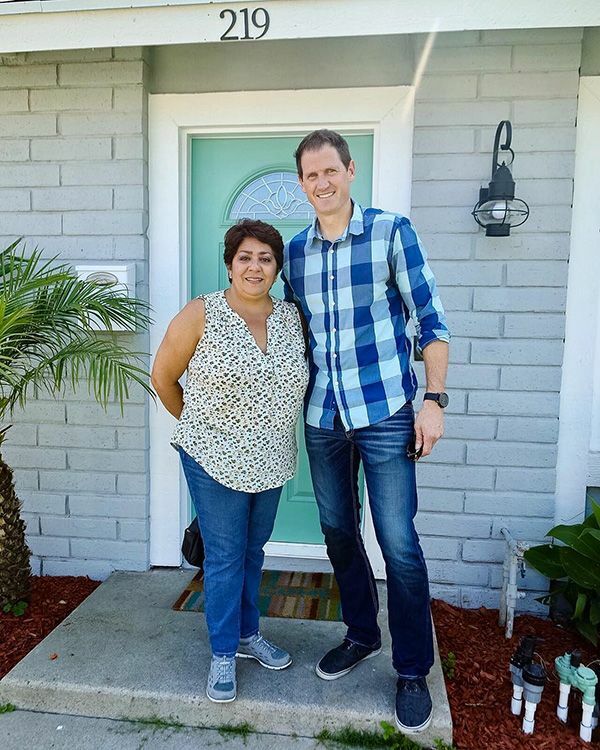 People moving to San Bernardino County have a tendency to purchase properties in areas that were hit worse by the collapse, because they can purchase the homes for a lot cheaper. This leads to a high level of competition, and many sellers wind up letting their homes go for far less than they’d anticipated. More than 14.4% of homes sell at a price cut, and many list at less than their market value. One in every 5,000 homes in the United States will face foreclosure. In Apple Valley, one in every 2,500 homes faces foreclosure. Though the foreclosure rates in Apple Valley aren’t nearly as high as some of the surrounding cities, they’re still double the national average. It’s a real problem, and it doesn’t seem to be coming to an end. If you’re a homeowner in Apple Valley who has been hit with a foreclosure notice, you’re not at the end of your rope. Since foreclosure is so common, many lenders in the area are willing to work with homeowners to come up with a satisfactory alternative. Short sale is very common, though no matter how you choose to sell, you have all the way up until the last day of the foreclosure process to find a buyer. It doesn’t matter if your property needs a lot of repairs, or if it’s brand new. We’ll buy condos, town homes, apartments, land, commercial buildings, mobile homes – you name it. If you have a piece of property or house you need to sell, we’ll be glad to take it off your hands. We’re interested in just about anything you’d like to sell. We’re certified, and we have over 10 years of experience in residential appraisals, loans, investments and valuations. We are your go to company when it comes to selling your property. We understand the needs of our clients, and we aim to be flexible. We know everyone has different needs, and all situations pose different challenges. Give us a call at 951-331-3844. We’re always willing to speak with you about what you need. The condition of your house doesn’t matter when you’re looking to sell to us. When you use a traditional Realtor, that Realtor will expect you to spend tons of money repairing your property to make it attractive to potential buyers. We will buy your home no matter its condition, and save you the hassle of spending any more money on costly repairs. We Want to Be The Perfect Solution For You! If you need to sell fast, a traditional realtor may not be your best option. As investors, we do not require you go through a lengthy closing process that could take months. We know that some people can’t afford to wait all that time. We’re paying with our own cash, and there are never any fees to settle. No commissions, no middlemen, and no complicated requirements.We want to buy your house as quickly as you want to sell it. We’re ready to go, and we can purchase your property in as little as a week. If you need more time, don’t sweat it – we can wait as long as you need us to wait. We’re ready to purchase any Apple Valley property, for any reason at all. Whether you have inherited a property, are facing foreclosure, transferring jobs, relocating to a different state, dealing with a divorce, losing patience with a bad rental property, or entering a short sale, we can buy your property fast. We have worked with hundreds of happy clients in Southern California, and we’ve created our process to be stress free. Many homeowners dread seemingly complicated task of selling their houses, but we’re willing to take that stress on your behalf. We will provide all legal paperwork and pay all closing costs. You’ll never pay any fees or commissions. Sign the documents, and the money is yours! You’ll always get 100% of the offer we make on your property. We’re located in Murrieta, CA, and we service the majority of Southern California. We help individuals or families who are in need of a quick solution to their real estate or financial difficulties. 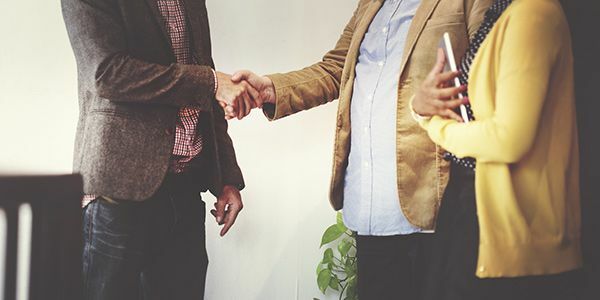 We’re not faraway buyers who want to do the deal over the phone – we’d love to meet with you face to face, and we aim to be accessible to everyone. We’re only about an hour and thirty minutes from Apple Valley, right down I-15 South and I-215 South. To see how much we’re prepared to offer on your Apple Valley home today, simply fill out the short form you see on this page. Within 24 hours, we will research your house and then contact you to discuss our offer and proposed solution. If you like the offer we make on your property, consider your property sold! We look forward to speaking with you.